All staff photos published in the Record-Eagle print edition during the week of September 27 to October 3, 2009. Note: Some photos may not be available until late afternoon on the day published. Photos published on Saturday and Sunday may not be available until Monday. 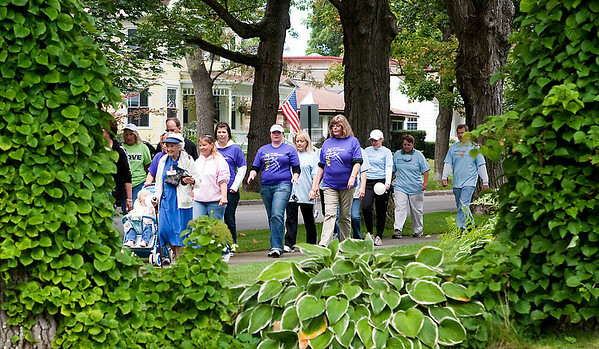 Participants stroll down Washington Street during Alzheimer's Association Memory Walk in Traverse City. About 200 people took part in the event.